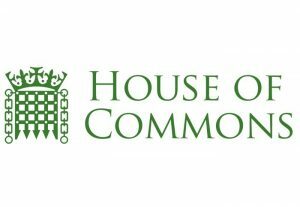 Dr John Benger has been appointed as the Clerk of the House of Commons and will take over from Sir David Natzler who had held the role since August 2014. Natzler, who was the fiftieth person to hold the role, will retire in March 2019. David Natzler has been confirmed as the new Clerk of the House of Commons which was a post he had been holding on an acting basis. “I am delighted, and very proud to have been asked to be the Clerk of the House of Commons and Head of the House of Commons Service. The 2015 Parliament will offer many challenges which I am confident that the House Service will meet with energy, comprising as it does so many talented and committed people”. Previously Natzler had been Clerk to a number of Select Committees, Social Services 1981-1985, Procedure 1995-1997 and Trade and Industry 1997-2001. He was Principal Clerk of Committees 2001-2004, Secretary to the House of Commons Commission 2004-2006, Principal Clerk of the Table Office 2006-2008, Clerk of Legislation 2009-2011 and Clerk Assistant 2011-2014. John Bercow, the Speaker of the House of Commons, had previously controversially proposed Carole Mills who was an Australian with no direct experience of the Houses of Parliament.